The bottle is red and round at the front but flat at the back with a long white lid. The actual polish is clear. Using this first time there was a smell I don’t recognise but it didn’t smell as toxic as others, The brush was nice and wide and the consistency was just right. Reading the instructions it said to wait two minutes after applying your regular nail polish before applying the top coat. After the two minutes I applied the nail polish and within doing all my nails it had dried within seconds. 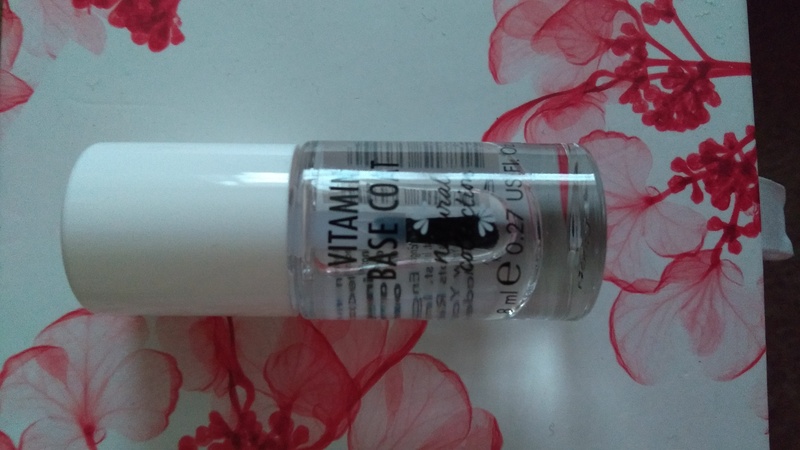 I think it is expensive but the results are nice and quick like the bottle suggests although it does require you wait two minutes before applying which I guess isn’t as bad as it seem if it dries in seconds. I would suggest this to anyone who just wants a quick manicure before heading out. 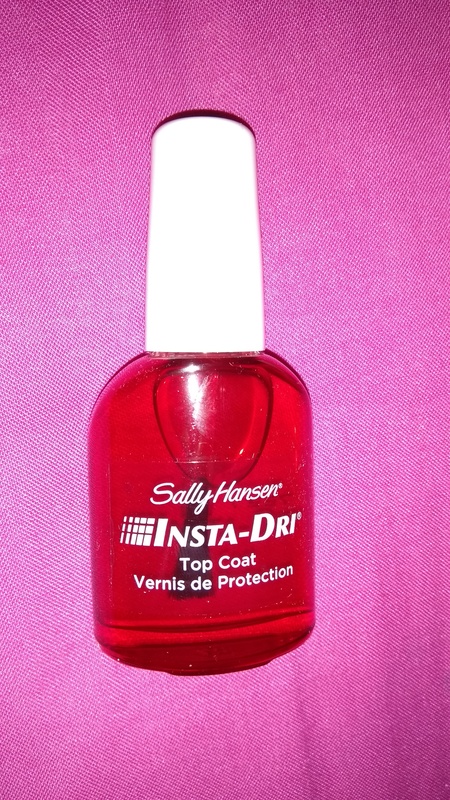 8/10 as I like it as its nice and quick but it is slightly expensive for a top coat. On first application it applied nicely but I had to be careful of applying too much. The first layer wasn’t particularly good and it seemed to dry matte compared to others I’ve used. The dry time was slightly longer but may have been the thickness of the application. I normally apply the second layer of basecoat and this turned out much better nice even application and good dry time with glossy finish. 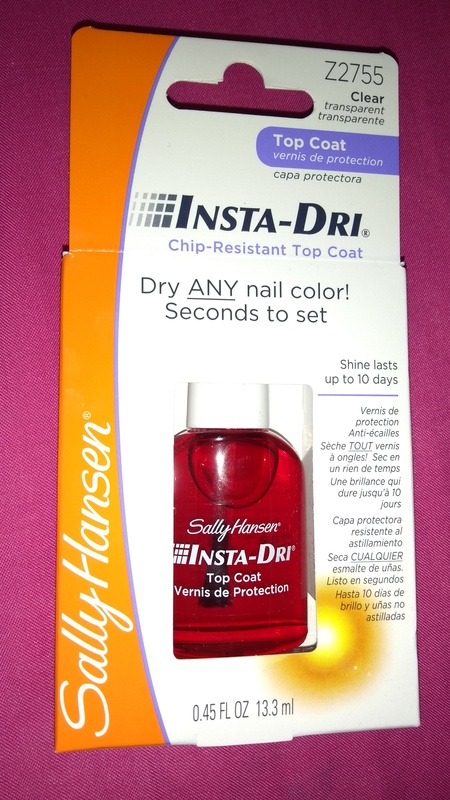 This was pretty affordable basecoat at £1.99 and it did protect my nails from staining as I used a pretty dark nail polish colour. I give this an 8/10 I like this and it ended up working pretty well and was cheaper then my usual basecoat. 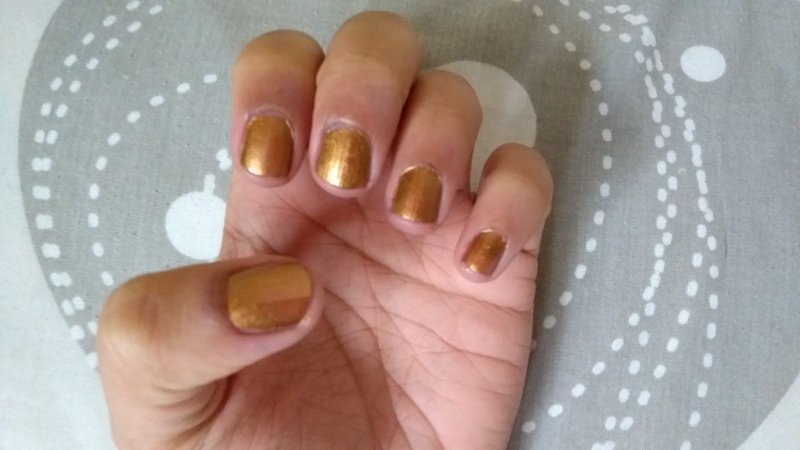 Applying this nail polish was quite messy for me and since I was testing out how many layers I could do to get it opaque clean up and dry time was awkward so I started over. Second attempt worked better, thin even coats caused better application and quicker dry time. 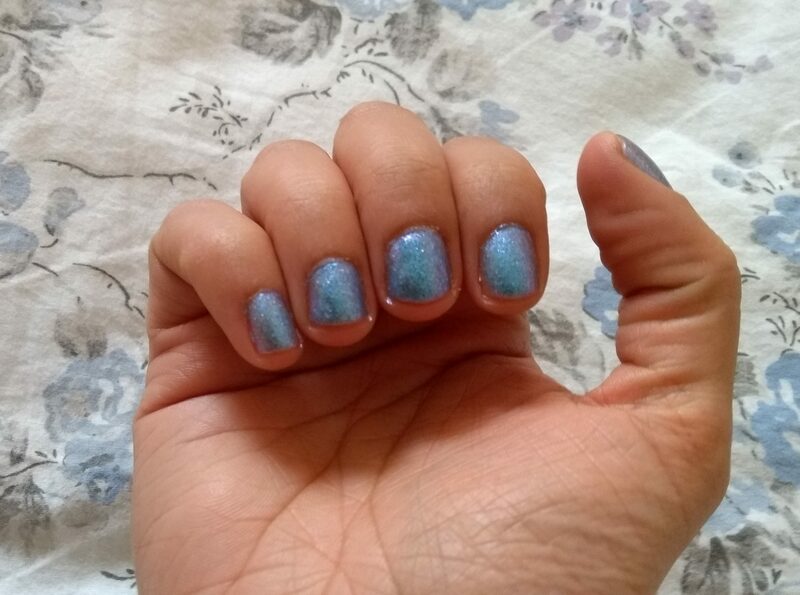 I applied three coats to get it opaque which is in the picture but I have also attempted this as a top coat but it does come off very blue so worked better over a blue nail polish then other colours. 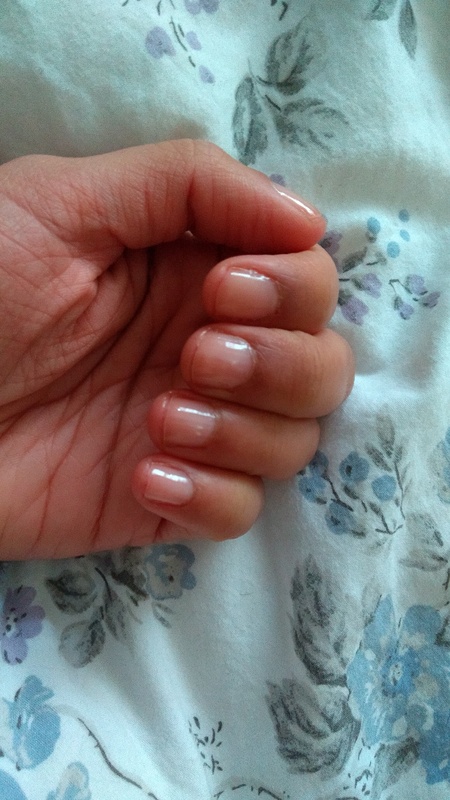 I really liked this nail polish as the colour is subtle but quite pretty and with the right amount of time can look nice with the three coats but just as nice over a blue base although if you just want a sheer first coat of polish it works nicely too. Was a little thick for me so had to apply less to start with. I give this nail polish 7/10. I do like the colour and the glitter but how sheer it is on its own and being only a blue colour top coat I feel isn’t for me. 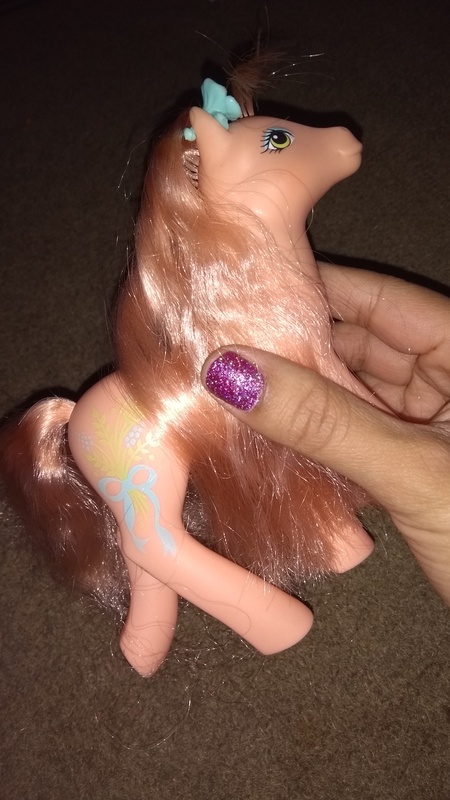 China Glaze My Little Pony Nail Polish Review Where’s the Party Canon At? 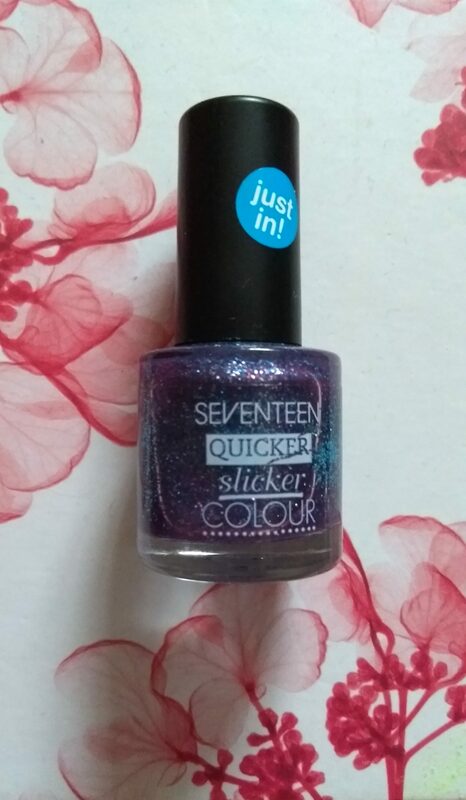 I received this nail polish as a gift over Christmas as well as one other. The bottle is typical China Glaze but has the black lid decorated with the words loyalty, laughter, honesty, generosity, kindness and magic. The Nail polish it self is pink in colour and packed with holographic glitter. Applying this nail polish was actually quite nice on the first coat. Dry time was ok and it could be passable on being opaque on first coat. I did attempt a second coat as I figured I might as well and it looks very pretty and fills in any gaps if any from the first coat. Glitter is a little rough so did apply topcoat. 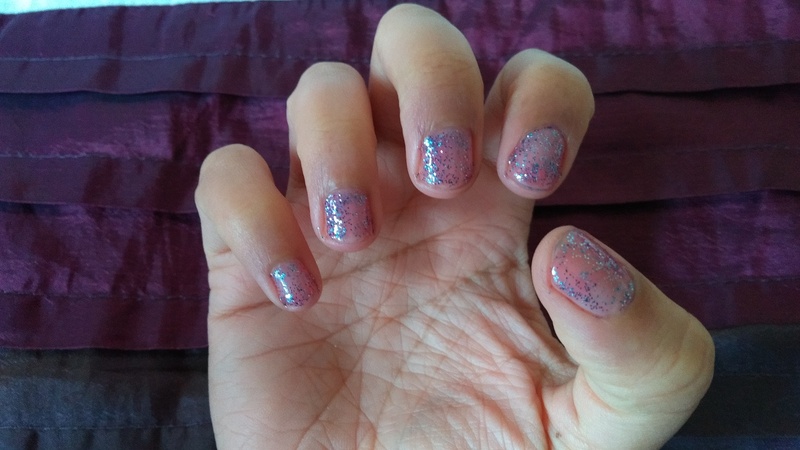 This nail polish I expected to be quite sheer but surprisingly a lot better then I thought and the glitter does not have to be arranged in any way and works well just using the brush alone. the pictures don’t do this justice. 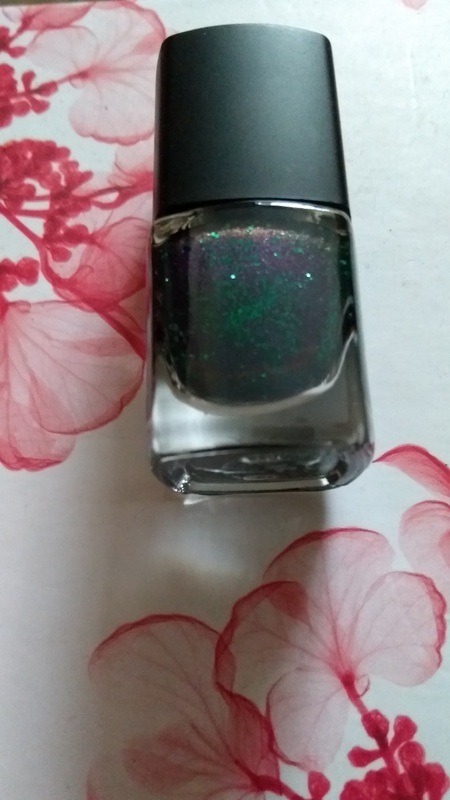 I give this nail polish an 8/10 as I really really like it its very shiny and glittery and works well for any occasion and you can get away with it in one coat. removal however is bit of a nightmare but most glitters are. I may attempt to buy the purple polish as well which is similar to this. The nail polish is in a circular clear bottle with a black lid. 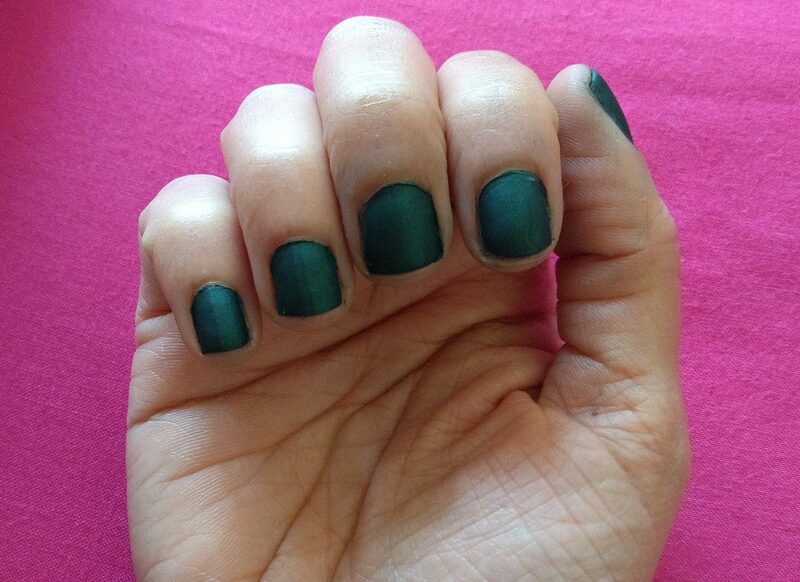 The nail polish is a dark green colour with a slight shimmer. This nail polish had a fairly thin brush and it seemed to dry fairly quick too so I had a slight issue on first application. As I took my time and as the brush was quite thin when I noticed I missed bits I went over it and it dried in to an uneven blob so I started again. I started trying to have slightly more on the brush and being more careful on not missing parts of the nail. The nail polish is opaque in one coat and it dries matte where the shimmer gives a slightly different look to the nail. 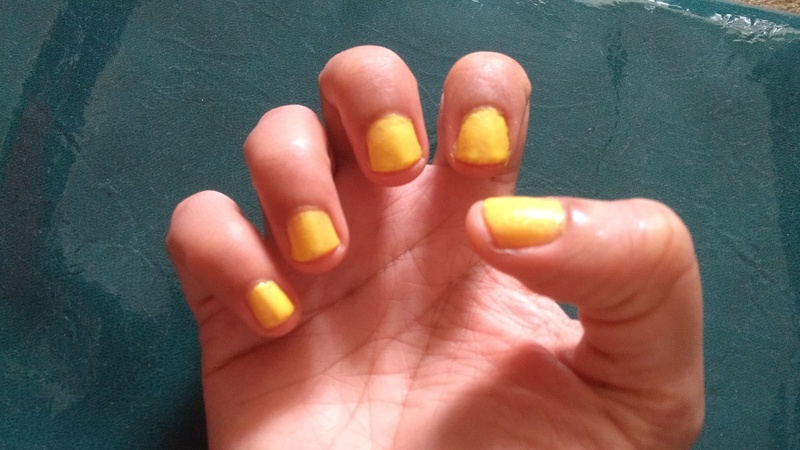 I did like this nail polish but I will say the drying time is bit quick and I did end up making a little bit of a mess but otherwise everything else was all good. 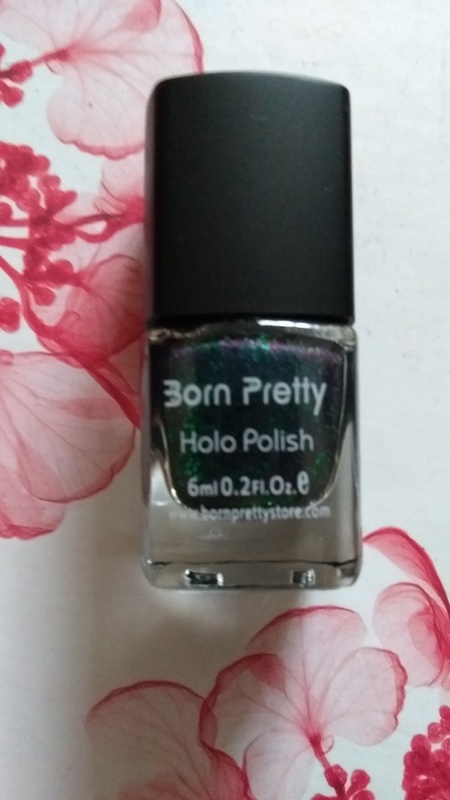 Price was reasonable, drying time is nice if you can paint perfectly in one go, polish is opaque in one coat, colour is pretty both as matte and with top coat on and the brush does start to widen up so it is possible to paint in the normal three strokes. I will say that missing the tip or the sides of the nails its not ideal to correct it where it will blend in as it will dry a blob so best the thing is to just apply a second coat. I give this nail polish 8/10. I like pretty much most things bout it but I think its definitely one to practice with to time yourself better and avoid missing areas as corrections don’t blend in if that makes sense but I would definitely buy again. The nail polish is in a square clear bottle with a black lid. 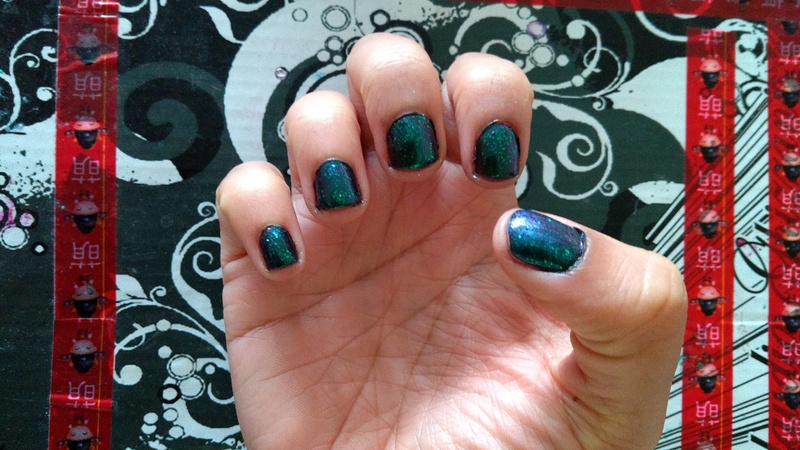 The nail polish is very pretty and glittery with greens purples and blues in it. 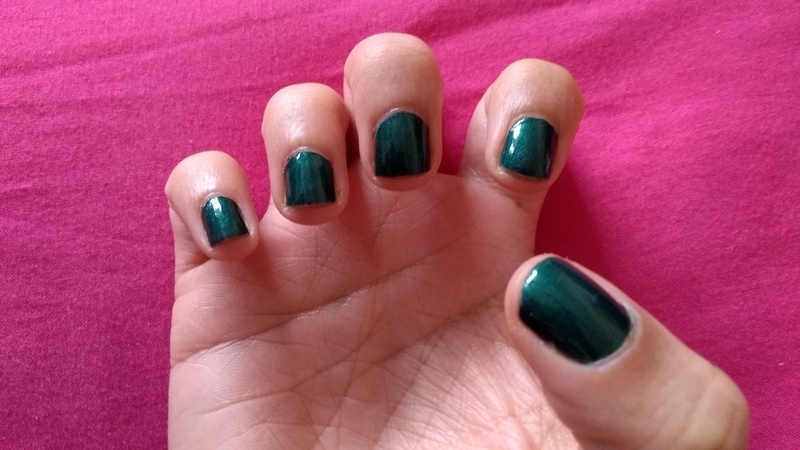 This nail polish required a black base colour and it said on the sellers item page that any black nail polish would do so I used the Seventeen Gel Colour one I had. Waited for it to dry and started using the nail polish and I love it from the very first swipe. Amazingly pretty and applied well. I give this nail polish 9/10. 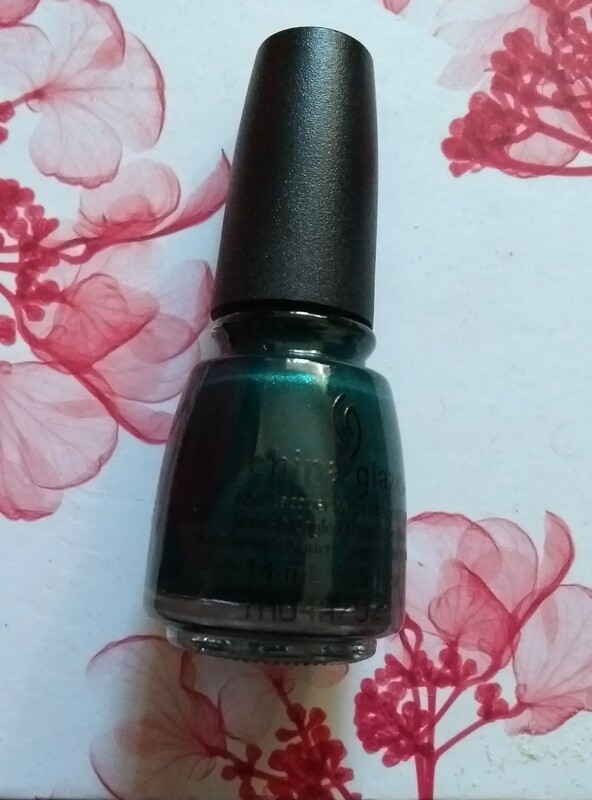 I like the colour, the price is very cheap and its opaque or gives the illusion it is 😀 Would definitely purchase more colours or the same again when it runs out. 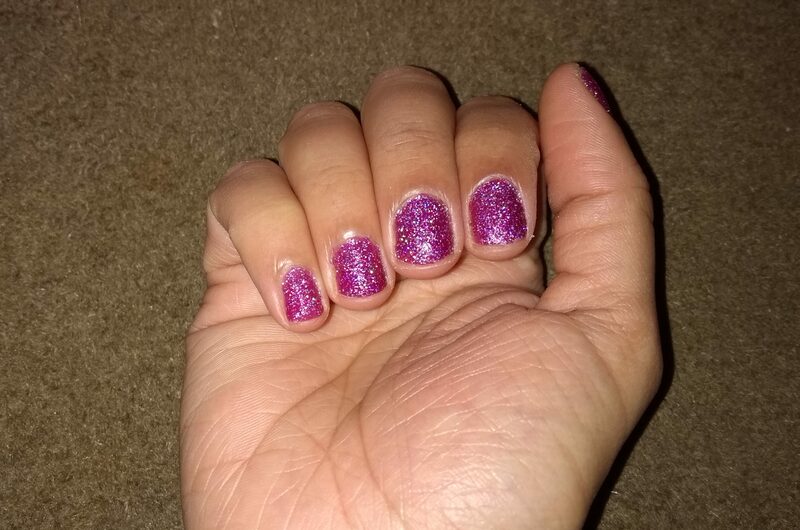 I noticed this nail polish was very water on application and the glitter just wasn’t settling and just gave off this slight jelly like look. I think with a second it could look different and possible better so I tried it. I did like the idea of this polish and will try with a makeup sponge to apply it as its just too watery. 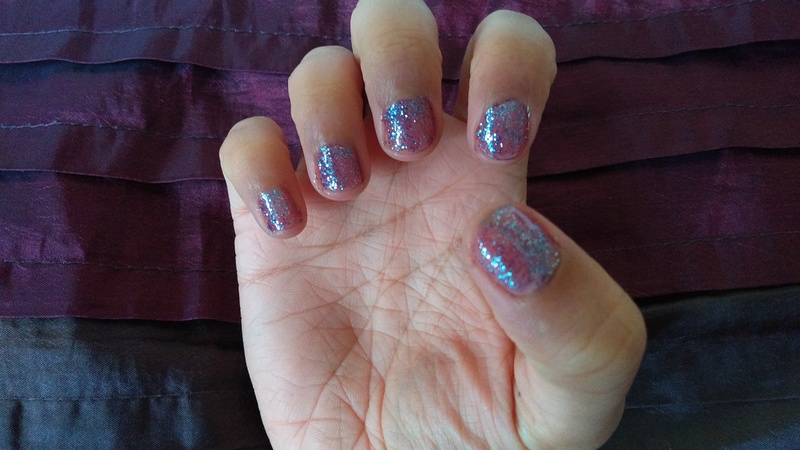 I maybe able to getaway with this is as a light sparkle topcoat. I do think its pretty but I think it could be better. The nail polish is in a small clear bottle with the seventeen label and black lid with a short brush. The colour is a very pretty metallic gold with a hint of green. I noticed this nail polish was opaque on the first coat and it had a slight streakiness about it but was not obvious. It dried fairly quickly and I had no problems applying. I also tried a second coat and to be honest besides being a touch darker it makes no difference so you can get away with one coat. 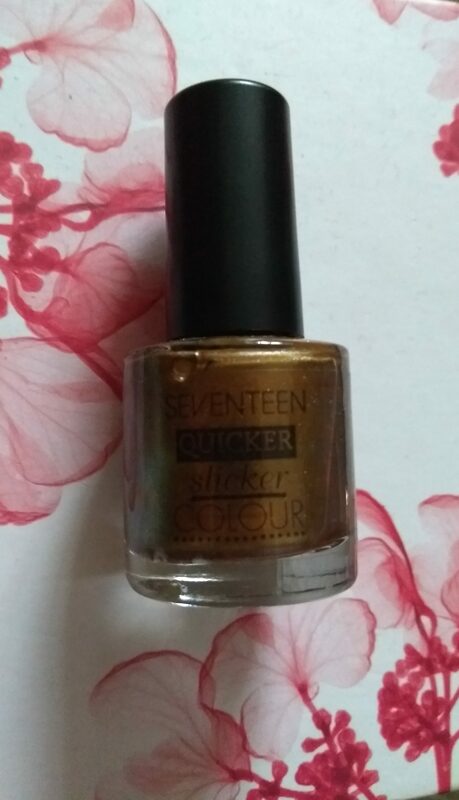 I did like the colour of this nail polish as previous gold nail polishes had too much shimmer in it that the application was always very sheer. In spite of the slight hint of green on the bottle it does not show on the nails. Fairly cheap nail polish so not bad for what it is. I give this nail polish 9/10. I liked the colour, the price is affordable, application was nice and formula was a touch streaky but you can get away with it. Would purchase again. 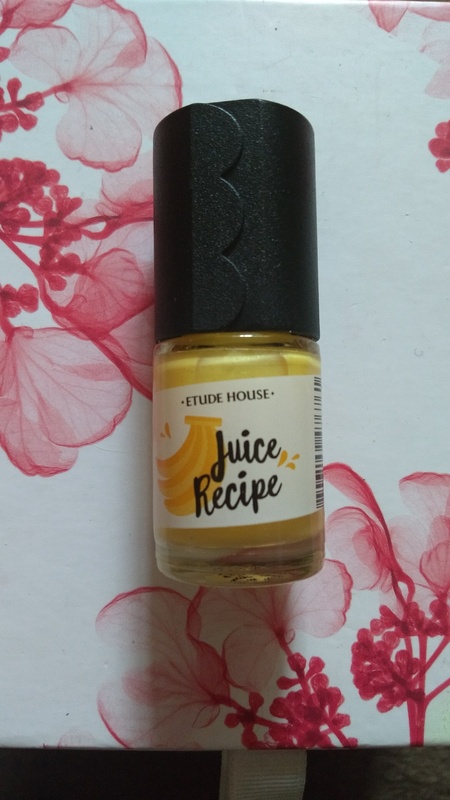 I was browsing on Ebay and a different Etude House nail polish came up so figured id see what this one was like. The nail polish is in a circular shaped bottle. It is clear with a black lid I also noticed there was a straw sticker on the side of the bottle to look like a juice box. 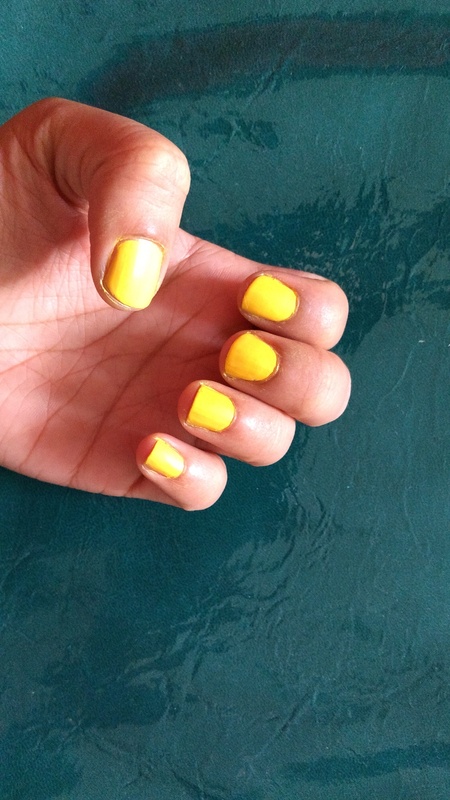 The nail polish is a bright yellow colour with some glitter inside it. I noticed this nail polish was quite thin and watery on first application. I also noticed a slight sweet banana smell. The nail polish applied very thinly dried quick and I was ready for the second coat of polish. Applying the second coat I tried to keep it thin to prevent drips and a built up on the sides of the nail. The second coat wasn’t particularly opaque but it was a definite improvement. I then just went over with a very light third coat of polish to even things out and hide any bald spots. 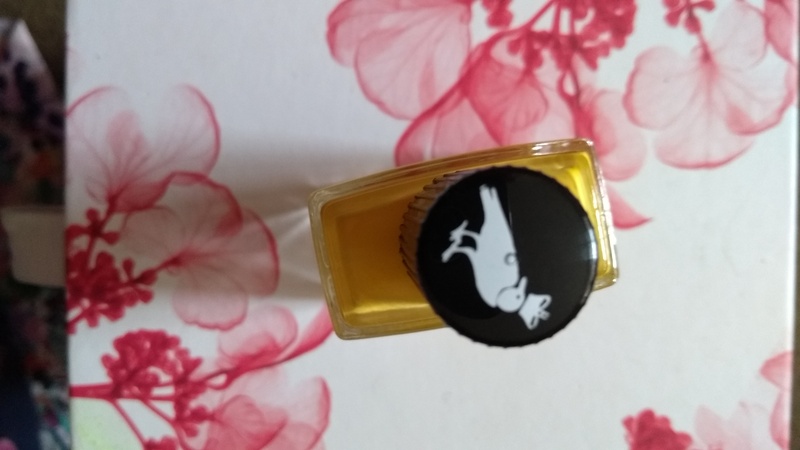 I did like the idea of the banana nail polish and it does look pretty on the bottle but it just looked quite thick and slightly odd looking although it may have been my application. I did attempt a second attempt which is the picture. 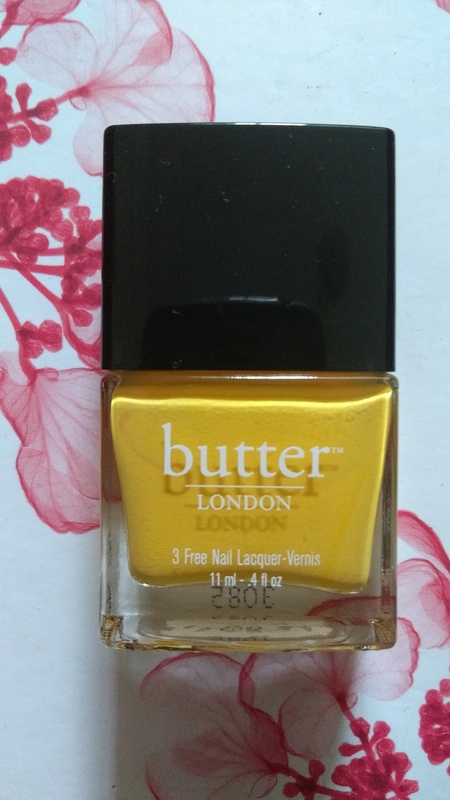 I was browsing on Ebay and realised that I have never used a Butter nail polish before and there was one up slightly cheap so I bought it :0)…. The nail polish is in a rectangular shaped bottle. It is clear with a black lid. 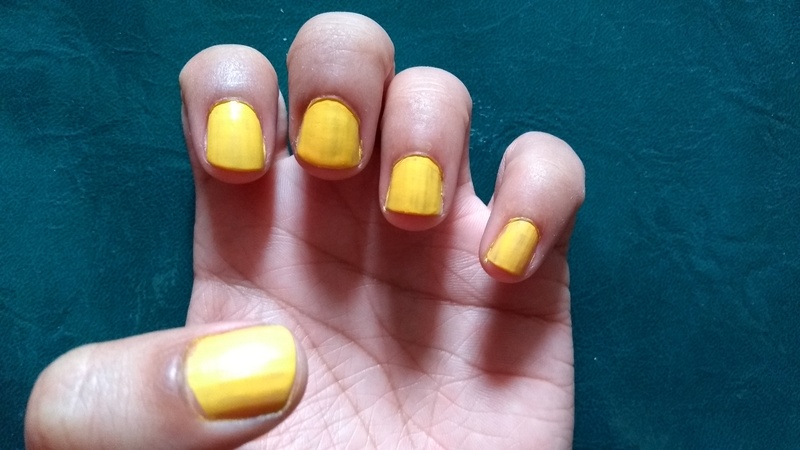 The nail polish is a slightly dark yellow crème colour. I also found that the lid is not the actual lid. Its just a cap that sits on top and then underneath there is the screw lid with the attached brush that has a picture of a bird. 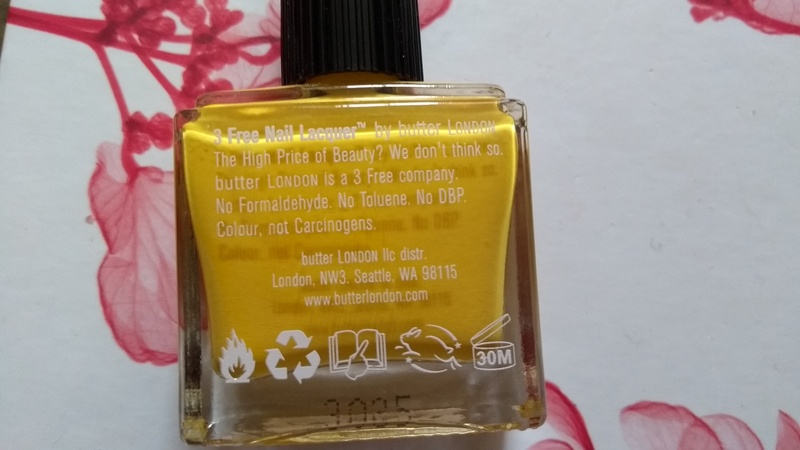 I have never used a butter nail polish and I was expecting quite a lot from it given its original price and the fact that is 3 free. I did like the fact that the first coat was pretty much opaque however after drying it made something strange happen which I’m not entirely sure shows up in the photo well enough. I did expect the formula to be a touch watery as most yellows are. I may purchase a different colour as I felt this did not suit my skin tone. I give this nail polish 7/10. I do like the idea of 3 Free, the quick drying time and the fact that it is opaque in one coat but I don’t like the visible ridges when it dries or the original price and the thin brush. I may purchase a different colour to compare.